It’s no secret that China is home to the fastest growing cruise market on the planet. Royal Caribbean is fronting the movement, with its latest Ovation of the Seas monolith destined to completely revolutionise cruise culture. While the cutting-edge ship will spend its inaugural summer cruising Europe, it will eventually join the line’s fleet of Chinese and Hong Kong-based ships. So just how big is China’s cruise market? Since 2013 demand has risen by double digits, with China racking up over 1 million cruise passengers in 2015. By 2020, the Chinese Ministry of Tourism is predicting this number to rise to a huge 4.5 million. Primarily, growth is driven by the nation’s growing taste for luxury holiday options. And the cruise industry is answering the call. If you’re looking for a family-friendly cruise that will incorporate culture, history and breathtaking sights, look no further than a Chinese cruise. Interestingly, 40% of Chinese cruisers are under 40, which is markedly younger than the UK and US markets. It’s common for many go on cruises with both their parents and children, which means there’s often a great multi-generational focus on-board Chinese cruise ships. China’s consumer economy is burgeoning, and holidaymakers get serious thrills from shopping up a storm. Consequently, ships such as Ovation of the Seas and Norwegian Joy feature a stunning line-up of at-sea boutiques. As import taxes on luxury goods can top 40%, there’s also a fantastic focus on duty free shopping. China is a technologically sophisticated nation, and the ships being built for its cruise market reflect this. Ovation of the Seas will showcase a host of futuristic experiences, from bionic bartenders and simulated skydives to surfing machines and the famous North Star viewing pod. On Norwegian Joy, passengers will be offered the world’s first at-sea go-kart track. As well as the ships themselves, China also offers world-class ports and infrastructure. 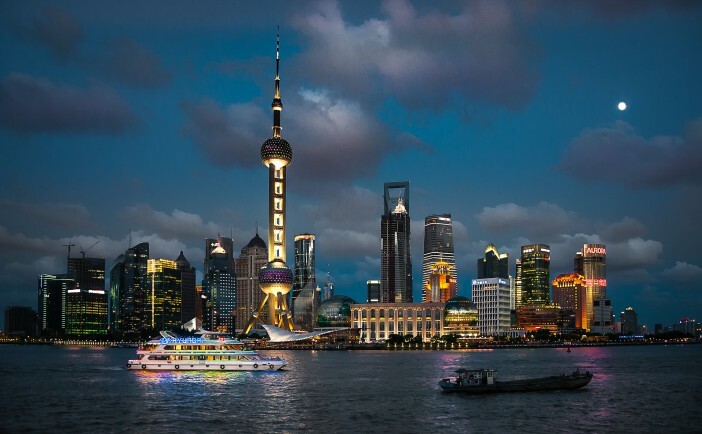 Shanghai’s Wusongkou International Terminal is one of the largest ports in Asia, while Royal Caribbean has also unveiled plans to construct a Chinese-based dry dock facility and logistics centre. Life in China can be hectic, which is why an increased focus on rest and relaxation is materialising. In search of unsurpassed at-sea luxury, Chinese cruisers are the inspiration behind the rejuvenating body, mind and spirit experiences now offered on Asian based ships. As well as Royal Caribbean itineraries, Chinese waters are home to a host of other lines. If you would like to explore the incredible range of oriental experiences on offer, get in touch the team at Cruise 1st today on 0808 274 6777. It’s no secret that China is home to the fastest growing cruise market on the planet. Royal Caribbean is fronting the movement, with its latest Ovation of the Seas monolith destined to service an Asian demographic.